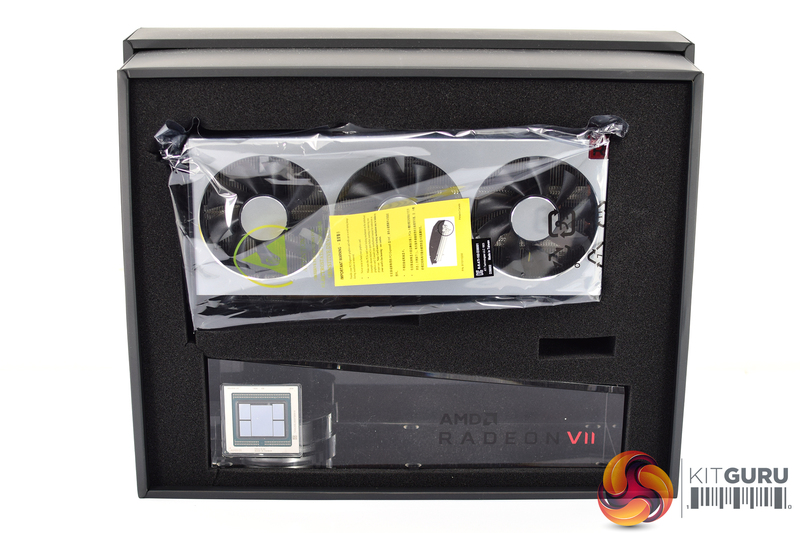 I was sent a special reviewer’s package for the AMD Radeon VII, with the card and a stand for the card inside the box. 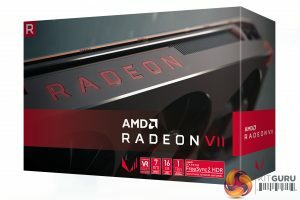 For those interested, AMD shared the above images of what the actual retail packaging will look like – but this is not how I received my sample, so I obviously can’t photograph it myself or tell you what comes in the box. 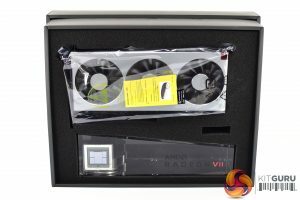 Back to my unboxing experience, though, the included stand is made out of something like acrylic and it is very heavy – it’s simply an ornament to place the card into. 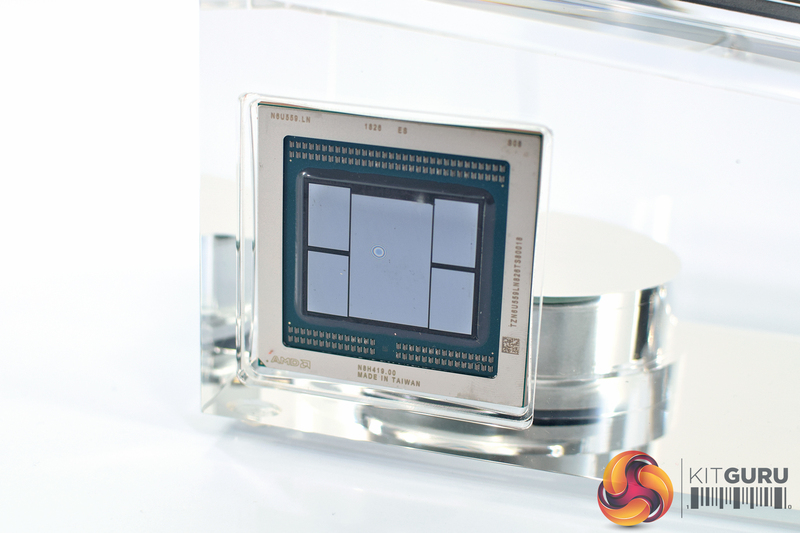 It does have a dummy GPU die encased within itself at the front, though, which shows the 4 stacks of HBM2 memory around the GPU itself. 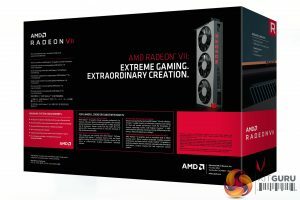 We’ve already taken a tour of the Radeon VII card in our unboxing video that went live earlier this week, but it is definitely worth pointing out the key features of the card again. 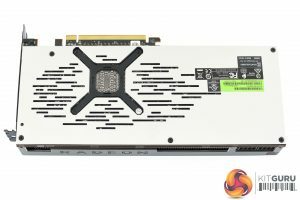 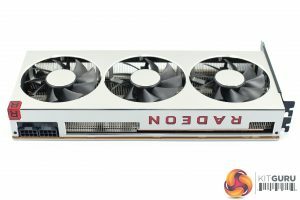 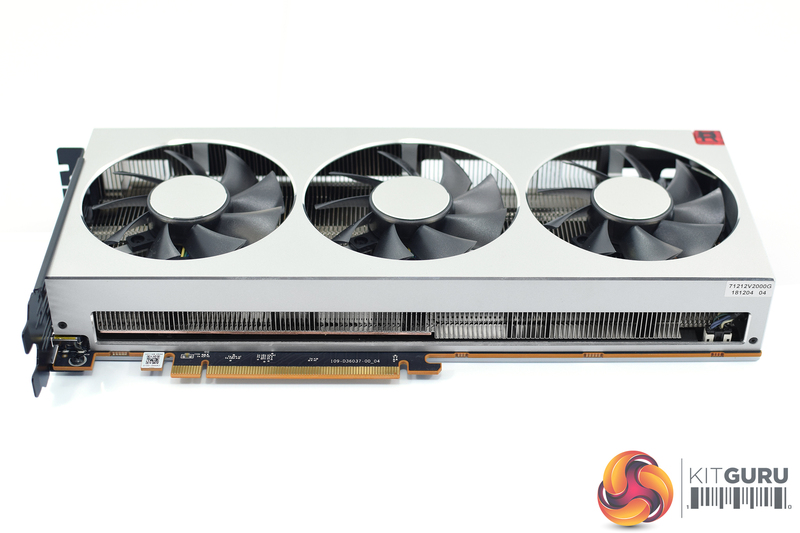 The first of these is AMD’s decision to move to a triple-fan cooler – it seems like AMD’s reference designs have been using loud blower-style fans for as long as I can remember, so we are optimistic this card will run a bit cooler, and also a bit quieter, but we will test that later in the review. It is also worth pointing out that we measured each fan at 75mm in diameter, blade to blade – so they’re not massive, but we will see how they perform before coming to any judgement. 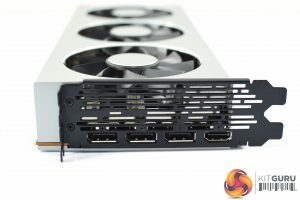 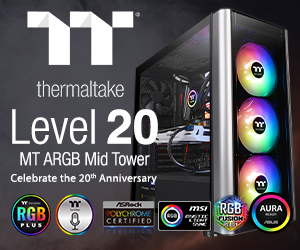 One potential negative consequence of moving away from a blower-style cooler to these three axial fans is that the card will dump a lot of its hot air inside your case, which can hurt compact ITX systems, but if you have a larger chassis with decent airflow, it shouldn’t be a problem. I’d also like to say here that I do like the silver shroud used with the Radeon VII. 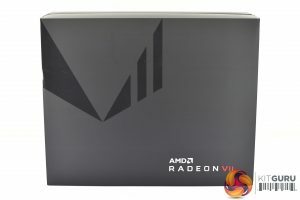 It looks very clean and is, in my opinion, overall a sleeker design compared to Vega 64. 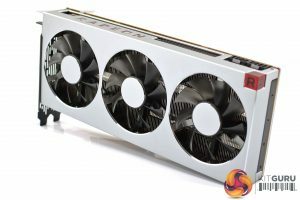 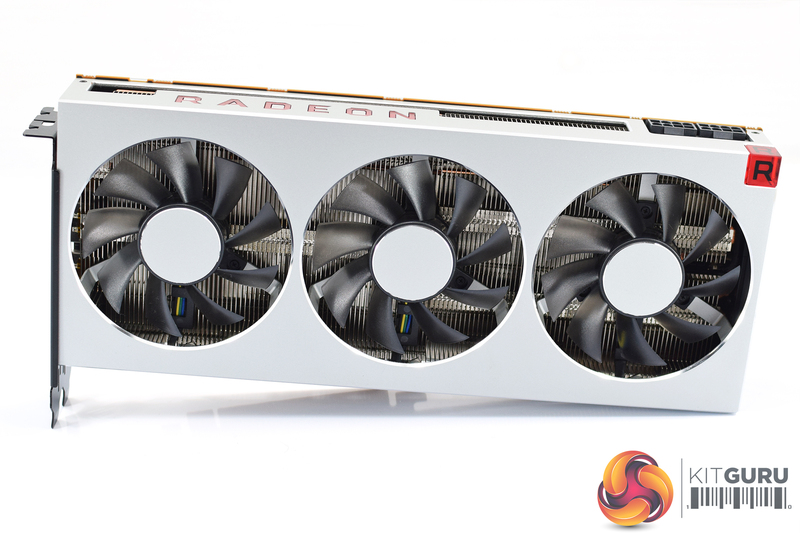 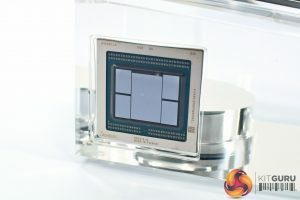 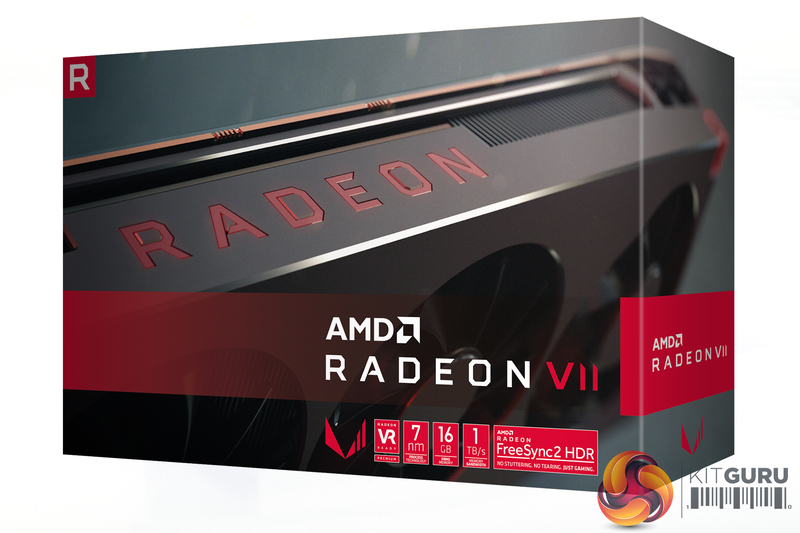 It appears to be anodised aluminium, too, which gives a very premium feel in the hand – as we would expect considering the price, but it is still a positive point for the Radeon VII. 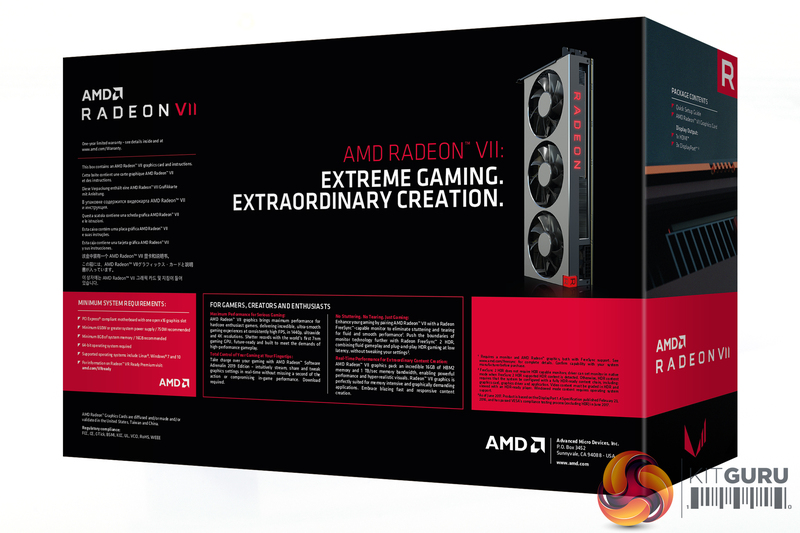 As for the card’s dimensions, we haven’t actually been given official figures, so I have done my best to take my own – though if official dimensions do come later, there may be slight variations between the sets of figures. 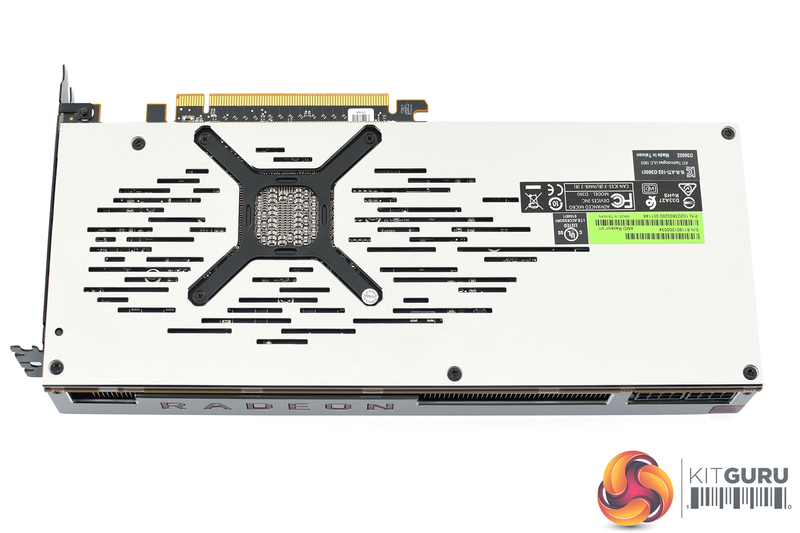 That aside, I measured the card at 265x120x40mm – so it’s only a dual-slot card, and at under 27cm long it is probably smaller than average for a graphics card in 2019. Moving on, the front of the card is home to the Radeon logo, and as expected this does light up with red LEDs once the system is powered on. 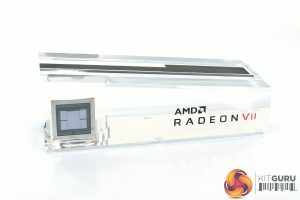 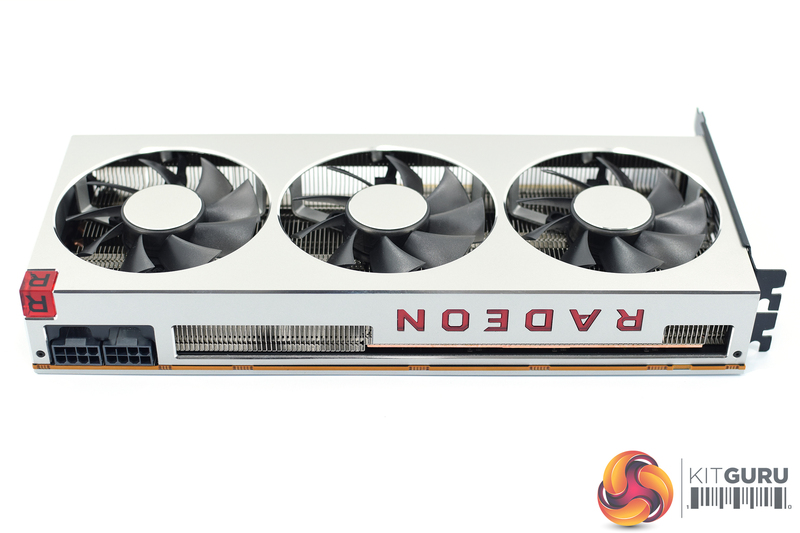 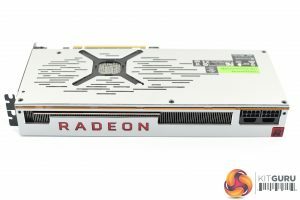 The Radeon VII’s backplate is also plain silver, though it does feature a few stickers as well as some ventilation and a cut-out behind the GPU core. 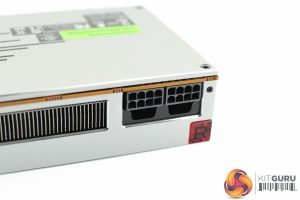 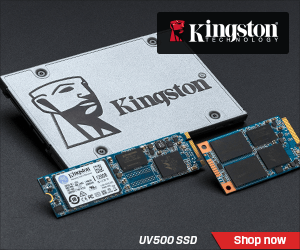 Power requirements consist of 2x 8-pin connectors, with the board’s TDP rated at 300W. 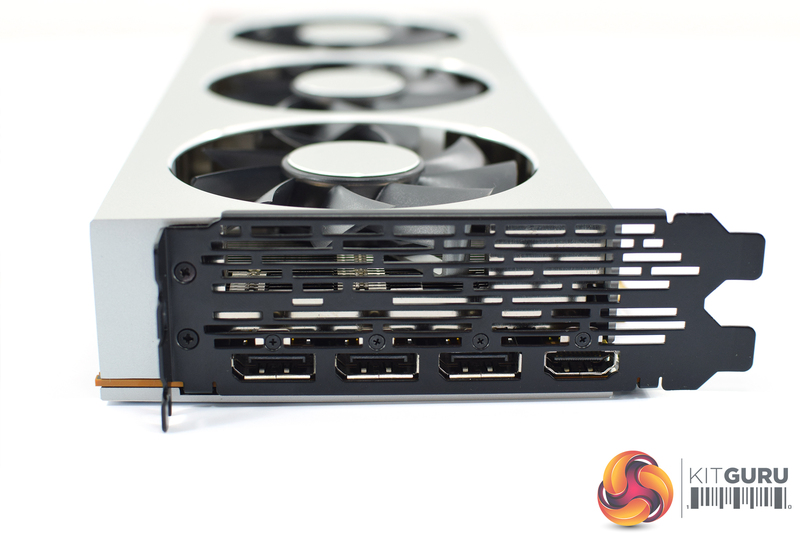 Lastly, our display outputs include 3x DisplayPort connectors and 1x HDMI port.